Male caregivers deny feeling stressed and angry about caregiving responsibilities. Caregiving for a wife, an aging mother, or father is unfamiliar territory and quickly progresses to responsibilities and tasks that have a very personal and human element. Caregiving tasks quickly become overwhelming. The unknowns of caregiving may be uncomfortable and stressful. By learning caregiving tips, men can become confident and feel more comfortable about being a caregiver. This also means being able to freely talk about caregiving stress. Men tend to be silent about caregiving concerns as if it’s not okay to talk about caregiving stress. Talking about caregiving stress is a normal part of life. My father, a World War II Army veteran, was the caregiver for my mother. He was a “do whatever it takes” person. My mother was in poor health for years. Dad cleaned house, cooked, went to the grocery store, took mom to doctor appointments, and did whatever was necessary to help. I believe he enjoyed being busy after he retired. Being a caregiver gave him a purpose. Being busy does not mean that dad was not stressed or worried about my mother. He never talked with his children about how he felt about caregiving. Rare instances of worry were visible when mom went to the hospital emergency room or needed surgery. Dad was like many WWII veterans who never talked about the horrors of the war. I knew he was a machine gunner in the battle of Guadalcanal but not much more. His children were trained not to ask. I don’t know if my parents talked about how illness and caregiving affected their marriage or changed their lives. My mother was a born caregiver. She lost her mother when she was five years old to tuberculosis and was the caregiver for her sister, two brothers, and her father. This trend continued throughout her life caring for aging grandparents and other family members. Dad was dedicated to mom. My experience with male veterans during the past 20 years confirmed that veterans are dedicated to the care of their wives to the exclusion of everything else. The idea of no man or wife left behind. This focus of caring for a wife sometimes excludes taking care of themselves and allowing another family member to help. We were fortunate. My father readily accepted help. My brother, who also was in the service as Marine, came to stay with my parents after my mother’s final surgery. He was retired. By that point in my mother’s illness, my father needed more help to physically help my mom who was very weak. It was my brother who called telling me that mom passed away. Male caregivers caring for wives are dedicated even though the road may be rough. Having little caregiving experience leaves room for misunderstandings and hurt feelings. All of the caregiving gaps can be filled with support and help from others. As a caregiver is it important to know that there will be times when you feel alone and feel like giving up. You are not alone. There are thousands of caregivers who experience the same feelings each day. All caregivers experience feelings of helplessness and futility. Days of high emotional and physical stress. Feeling unappreciated. Feeling angry and then feeling guilty for being angry. Caregivers feel like each day is an up and down rollercoaster rode. A sinking feeling in the stomach results from unexpected twists, turns, and phone calls. Thoughts of dread can be pervasive. Midnight phone calls. Doctor appointments to discuss health issues that seem to have no solutions. Aging parents or spouses who seem to have given up. These chaotic situations are emotionally disturbing. A sense of helplessness or futility exists about situations that are not easily managed. Worry exists about problems that cannot be solved or immediately fixed. Anxiety is having a never-ending to-do list. The difference between women and men is that women openly talk about their feelings with trusted friends who may also be caregivers. Only a caregiver understands the life of another caregiver. Sharing negative feelings and experiences with caregivers who are accepting and non-judgmental is valuable. The ability of women to pour out their feelings is difficult for men to understand. 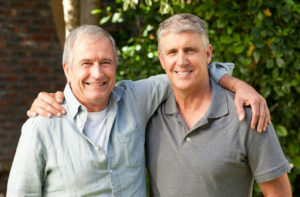 Men who are not caregivers are unlikely to understand the experiences of a male caregiver. Men are more “doers” than “sharers”. They talk sports with other men and go play a game of golf. These activities substitute for real talk. Situations, where it feels impossible to please a mother or father, may result in male caregivers feeling stressed and angry about caregiving responsibilities. Caregiving is an unexpected role for all caregivers. The “not knowing what to do” results in hesitation and mistakes. Men who lack caregiving experience are less prepared for caregiving. Aging parents express frustration. Caregiving gaps exist. Wives may become easily frustrated with husbands who are doing their best. The role of caregiver for men is learned through trial and error. Because of not knowing what to do or who to ask, men wait until crises situations arise then learn that caregiving is not easy or manageable. Problems do not always have easily identifiable solutions. Male caregivers have told me that caregiving would be so much easier if the problem could be fixed and they could move ahead. What isn’t obvious for those without caregiving experience is that one problem after another happens. Moving ahead involves moving to solve the next problem. Solutions are possible after learning to ask the right questions and finding someone to help. 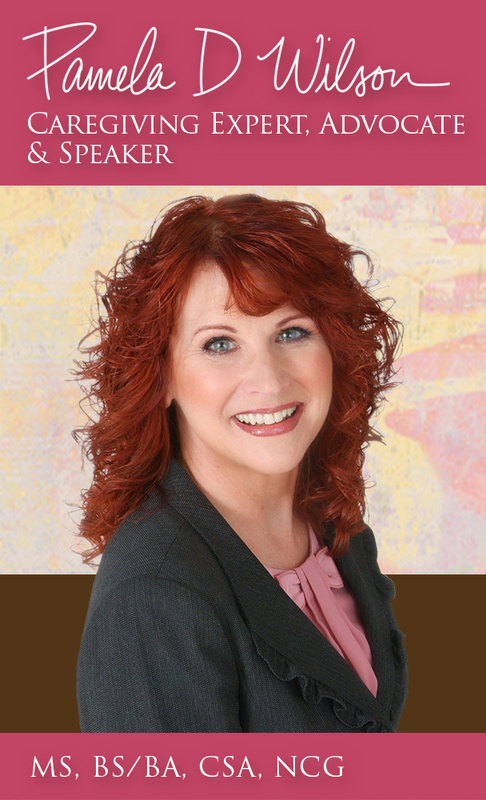 I have helped caregivers and aging adults solve caregiving problems and emergencies for over 20 years. I’m here to help. We all have top ten lists. During my twenty years of being on call 24/7 for clients, I built a top ten list of difficult clients who grew to be my all-time favorites. Many of these clients were initially puzzles that took time for me to understand. I am persistent and never give up because of my experience. I believe there are always solutions and rarely take no for an answer. Many of these clients had angry and demanding personalities. What I learned was that it was easier for my clients to attempt to drive me away—I kept coming back—than for them to accept me as someone who truly cared and wanted to help. Or someone who was interested in listening. Listening was the secret to success in many of these relationships. These men and women were angry. They were frustrated with their adult children. 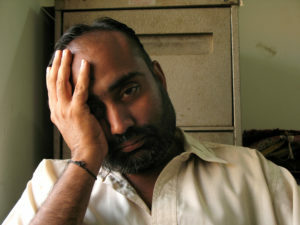 Upset because of health problems. Some had been uprooted (their word) to move across the country to be near children who had no time to visit. They felt miserable and wanted everyone to know how horrible they felt. This behavior ran people who might have been helpful away because those on the outside did not understand the deeper issues. These clients were sad and lonely. One of my favorite clients was the mother of a busy executive. Mom called the son 10-12 times each day with requests to which he could not respond because of work responsibilities. He hired me to respond and to solve her concerns without delay. The first day I went to visit I was stopped by the front desk receptionist at an assisted living community who asked, “do you know what you’re about to experience. ?” I laughed and said, “not exactly but I will be okay.” Having been in similar situations before I expected the worst and hoped for the best. After being thrown out of her apartment at least a dozen times, a conversation about a hurricane and the situation of people displaced from their homes opened the door to our relationship. By this time, she probably realized that I would keep coming back so she may as well talk to me. This visit changed everything. I listened for over an hour. The calls to her son, while for help, were more about her wanting to see him. She wanted his time not necessarily my time. She initially hated me because I was the person sent by him as a “substitute.” She was adamant about not needing help but—needed a significant amount of help because of serious health issues. If you haven’t yet learned, avoid using the word “help” at all costs. Aging parents or spouses do not need help. They want your time, attention, and love. My client began looking forward to my visits as much as I enjoyed visiting. I established relationships with all of her health care providers and we called each other after visits to compare observations. I was able to serve as a bridge between my client, the son who hired me, and other adult children who apologized to me that she was mean. She was no longer mean to me after the first dozen visits. I saw and came to know a very different person. My client told me that she didn’t want to be treated like a sick old woman. She wanted to be treated like a peer and an equal. I did my best to make that happen. In fact, she called one day to apologize for being mean. That call meant a great deal to me. I succeeded in breaking down the exterior personality of a woman who tried to scare everyone away because she believed they would not understand. Male and female relationships are complicated. Caregiving adds unexpected stress and complications because of the difference in communication styles. My recommendation for male caregivers is to listen instead of offering solutions or fixes. Your mother may have no one to talk to all day and when you call or visit you are the opportunity for her to talk about everything. You are also probably the receiving person of frustration and anger. Like my client, do your best to realize that there is underlying sadness, regret, anger or other feelings. Some of these feelings are similar to the anger and stress you are experiencing as a caregiver. At first, all you do is listen. Your goal is to listen, hear, and validate feelings. That is all. You might be surprised what you hear that can be helpful to the care situation later. Then after several listening encounters, take the next step. Talk about the frustration, anger or whatever feelings you mother or wife is experiencing. Admit to feeling the same way yourself. Open the door to common feelings that can be steered to common positive action. Instead of the caregiving situation being one sided with you having all of the responsibility and the work, the “what are we going to do about this” discussion changes the responsibility to 50/50. The conversation changes from complaints to solutions. This situation is often caused unknowingly by the caregiver. Because caregivers are rushed for time—there is never enough—the desire is to get things done rather than requiring participation from a mother, father, or wife. Yes, I know you want to tell me that involving your aging parents or wife takes more time. Maybe initially but not in the long run. There are benefits. While efficiency in accomplishing tasks like a superhero may be less frustrating for the caregiver, the result is a loss of independence and an increase becoming more dependent. Youraging parents or wife becomes less self-sufficient and experiences a loss of self-esteem. Actions of effectiveness and efficiency as a caregiver made your mother or wife depend on you even more. Like my client whose behaviors drove others away, your behaviors as a caregiver resulted in your mother or wife becoming dependent and helpless. Opening up conversations to caring supports a no blame zone. Caregivers can feel guilty about what they can and cannot do. Mothers and wives may blame themselves for getting sick or needing help. Caregiving can be a long road of regret about the past, the present, and the future. Instead of blaming or feeling guilty, turn these feelings into positives. What can be done, even if small things, to make the situation better? For the caregiver this may be small escapes into a daily routine of medication, prayer, listening to favorite music, going for a walk or to the gym. For a mother or wife, investigate their interests and create escapes. If they are homebound while you work, consider finding funny movies to watch, creating a music playlist, asking a friend to visit for lunch, positive or inspirational e-books or books on tape. or any other diversion that can become an enjoyable routine. The goal of the no blame zone is to avoid pretending that everything is okay. It’s not. It may never be. Accept the current reality and create a new reality that supports positive feelings and actions. There are days when caregiving may feel like a struggle. By acknowledging the struggles, balancing day to day caregiving challenges becomes possible. Male caregivers tell me that helping with personal care crosses the lane of comfort. This is totally understandable. The day that I had to help my father take a shower, he was embarrassed and felt bad that his daughter had to help him take a shower. What he didn’t realize is that I had helped many of my male clients to take a shower and helping my father was not embarrassing for me. 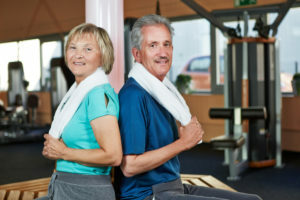 When helping aging parents or spouses with personal care, realize that the situation is much more embarrassing and uncomfortable for them than it is for you. Personal care is more stressful than other types of interactions. Caregiver stress levels relate to caring for aging parents. A diagnosis of Alzheimer’s or dementia changes family and marital relationships. I have had long discussions with spouses about how to manage situations where a husband or wife no longer recognize them. Learning about the experiences of caregivers in similar situations may be helpful. Caring for a loved one with memory loss or chronic or disabling disease can feel like there is no end. In these and all caregiving situations. Gaining support is critical. You don’t have to do it alone. Other caregivers understand that you are losing everything that you love and that is familiar to you. The thought of being without your wife may be frightening. You do your best to be strong and not crumble on the outside. On the inside, you may be falling apart. The benefits of belonging to a support group are many. Caregiving poses many unknowns. It is difficult to know what questions to ask. Caregivers want to feel safe in a group of others who understand. My private online Facebook group for family caregivers offers information, opportunities for support and opportunities to interact with other caregivers. You can choose to be an observer or to participate. The group is accessible 24 hours a day. Advance notice of upcoming support and programs is available through this group. Click HERE to join my private Facebook caregiver support group. If you enjoy videos you can visit my YouTube playlist of videos for family caregivers. Know that you are not alone. Support exists where you can share your feeling and experiences in a safe environment. Join me today.